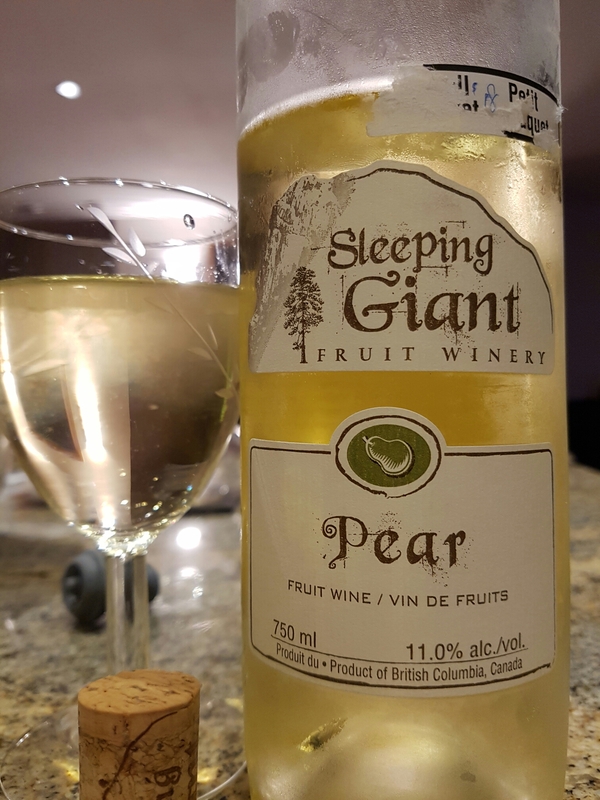 Pear Wine (NV) – Sleeping Giant Fruit Winery (Summerland, BC, Canada) | Justintoxicated. -I purchased this wine along with all their other fruit veriatelas when I visited the winery back in 2010. 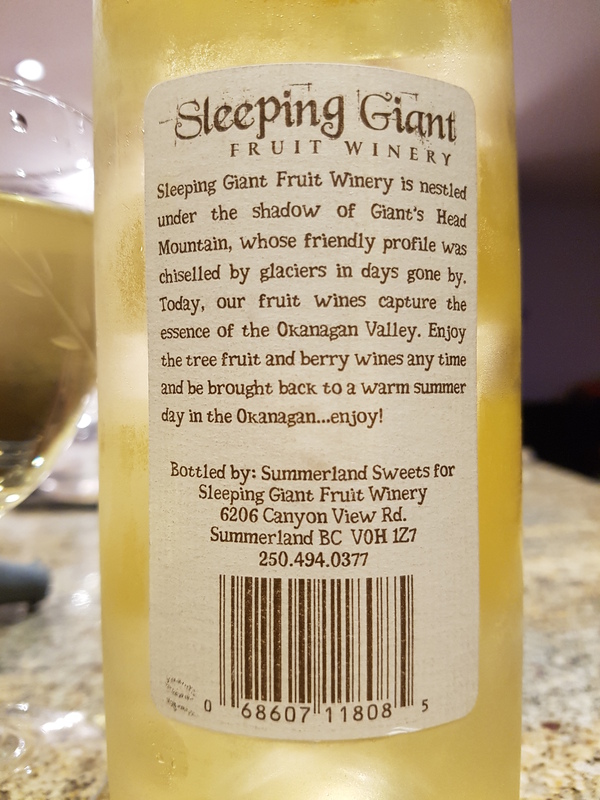 The winery is located in the beautiful Okanagan Valley – take a tour if you ever have the chance! Visual: Non-vintage. Pours light sunshine yellow, crystal clear with a few small bubbles settled at the bottom of the glass. Summary: The first few sips were disappointingly thin, but after a few more the subtleties start to come out. Apple-pear-grape flavours are mellow yet clean. Overall very sippable and enjoyable.